The X-Ray VHR Detector is a very high-resolution (with 4008 x 2672 and 4872 x 3248 pixels) X-ray digital camera with direct coupled fiber-optic input that protects the sensor against radiation damage. The camera features a high resolution phosphor screen which allows 20 lp/mm resolution without the need of geometric magnification. Fast 20 Mhz readout combined with on-chip pixel binning and sub-area readout allows fast shutterless acquisition with continuous sample rotation. Very low noise electronics allows to cope with very dimmed signals onto large background such as in phase contrast, diffraction enhanced imaging with soft tissues or thin bone sections. Air and/or water cooling allows long on chip integration when the camera is used with a sub micrometer size X-ray source for nanoCT reconstruction. 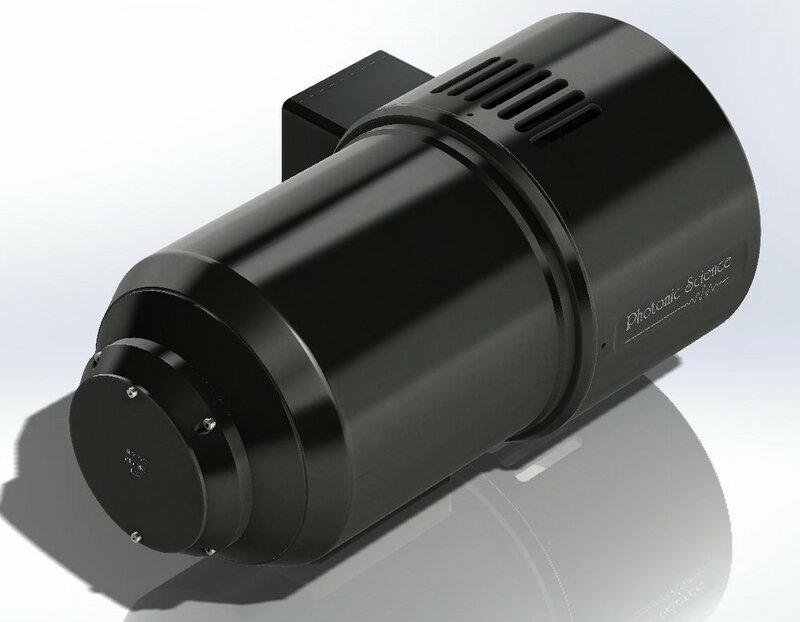 Thanks to a removable scintillator, the camera can be used with a brighter 160 kV X-ray source whilst maintaining very high resolution without bleeding artifacts. Unlike some flat panel CMOS detectors, the fibre optic component bonded to the CCD sensor protects the sensor against radiation damage, giving a longer life cycle than any other detector.